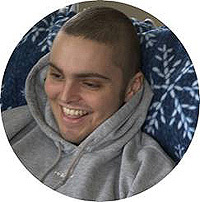 Kyle Charvat Foundation - Beneficiaries - Alex W.
Alex, a University of Washington student, was undergoing treatment for leukemia when he reached out to KCF. 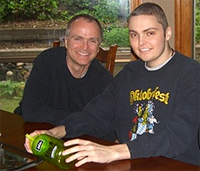 Alex underwent a stem cell transplant procedure, which required him and his family to stay at the Peter Gross House in Seattle for an extended time period before and after the procedure. The Kyle Charvat Foundation was able to supplement housing costs during Alex’s time in the SCCA housing. We want to thank the Kyle Charvat Foundation from the bottom of our hearts for their generous June rent payment they made to the Peter Gross House on behalf of our son, Alex. We have been staying here at the Peter Gross House for the past four months as Alex has undergone a stem cell transplant. Our insurance allowance has run out so this donation has helped us tremendously during this difficult time in our life. Truly another angel has touched our lives!